On the 29th of September we went rafting with a couple students. We were good to go around 8, but the driver was late (of course). An hour late we were picked up by an employer. 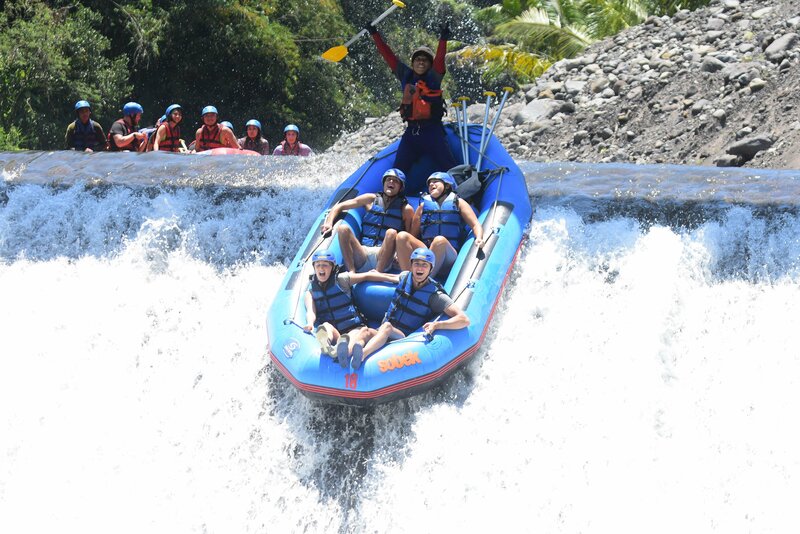 After an amazing drive through the hi lly landscape of Ubud, we arrived at the rafting point. It is very nice that everything is settled for you. Even the drive to the rafting and you are brought home as well. 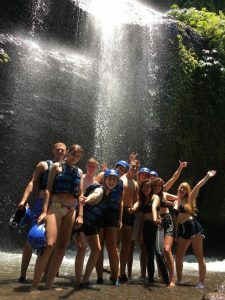 At the Telaga Waja river close to the volcano Agung our adventure started. We were going to paddle around 11 kilometres on this river. After we had changed clothes, we went into the boats. I was in the boat with three others, all with all it was pretty exciting. We drove over rocks and bounced into rocky walls, it was fun though. We also saw some wild animals, like a monkey and a baby lizard. Eventually, we even had to drop down from 3 meters high. By hearing that, everyone got a little scared, but everyone was still going to do it. By the way, there is another highlight I should not forget to tell about, the lunch we had on the end of the rafting excursion, we had unlimited food, it’ felt like heaven for me!